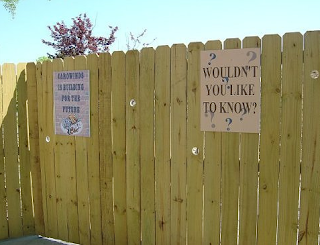 I do want to know! 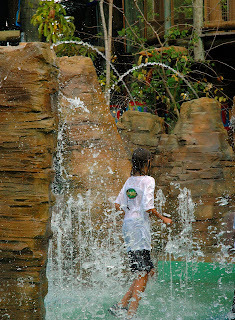 Looks Like A Splashin' Good Time! A Disturbing Ride? No Way! Wild Rivers Irvine Lives On! 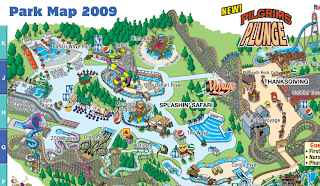 Wait - before that big splash I want to point out that Holiday World and Splashin' Safari has posted their newly redesigned park map for 2009 on their website. The map is very well done and a gigantic improvement over the previous incarnation. Kudos! 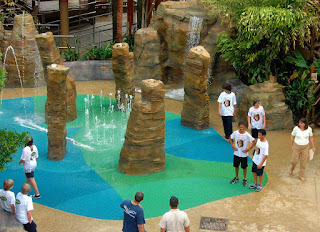 Also, the park had a preview event today for Pilgrims Plunge, Holiday World's new world's tallest water splash ride! There's a great news segment video of the ride in action at this link that you can go check out to see it in action. A splashy good time indeed. 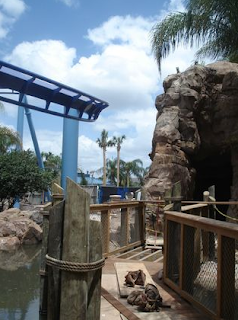 Sea World in Orlando has released the above POV video of their new roller coaster, Manta. Even with the finale removed from the clip the ride still looks like an awful lot of fun. Shamu has also been twittering lately and just revealed that Manta is going to open for the public for sneak preview on May 5th already at noon! Awesome! Ladies and gentlemen, the next generation of coaster modeling has arrived. Your medium? Pretzels! That's right, folks. Snyder's of Hanover and Busch Gardens Williamsburg are challenging you to put aside the traditional media and try your hand at building a world-class thrill machine out of one of America's favorite snack foods. Entries for this unique contest will be accepted through June 15, 2009. 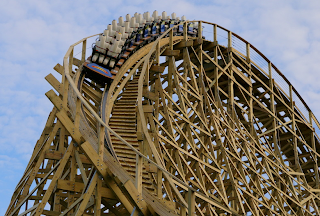 The judges will then narrow down the field and invite a select group of prezel coaster building dynamos to compete against each other in the "The Pretzel Coaster Build-Off", which will take place on July 16 at Busch Gardens Williamsburg. The grand prize winner will receive four Worlds of Discovery Platinum Passes and a year's supply of pretzels from Snyder's of Hanover! For more details, visit the official contest page. And by all means, if you decide to submit an entry please share it with us too! Editor's Note: Before you run to the store to ransack the Snyder's pretzel display, be sure to read the Official Rules of this contest. Among other things, apparently it is only open to residents of certain states. The link (which is so well hidden that I never even saw it the day I wrote this post!) can be found in the paragraph above the Submit button. The Orlando Sentinel's Theme Park Rangers blog has once again come through with some super exclusive photos of Manta at Sea World in Orlando. 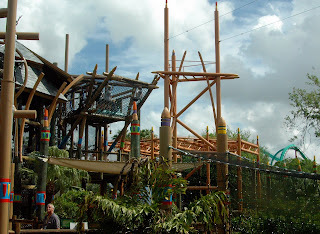 The photos show the entrance to the attraction and plenty of details of the ride that I haven't seen before. Probably one of the most anticipated new ride openings of the year, this behind the scenes look may be one of the last before we see photos of the opened ride! 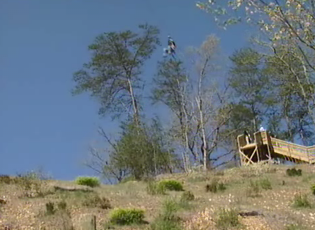 Dollywood gave a local news reporter a preview of their new SkyZip attraction, which you can see video of at this link. 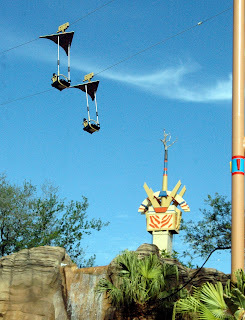 The SkyZip is the first multi-zipline attraction at any theme park anywhere. It looks like it provides riders some totally amazing views while they are on it! The two photos here are screen caps from the video - you really are high above the ground during your trip! The attraction will open in May and costs and additional $40 per person. I'm usually not a huge fan of additional charge attractions at parks - but in this case the experience is rather unique and one-of-a-kind. I'd love to try it out! When I first picked up this brochure, I had to do a double take to make sure that this was indeed Cypress Gardens and not Busch Gardens. The length, style, and format are curiously similar to those of the more recent Busch brochures. Same third party designer? Probably. But although Busch Entertainment Corporation actually did own Cypress Gardens for a good six or so years, that era was ancient history by the time 2006 rolled around. 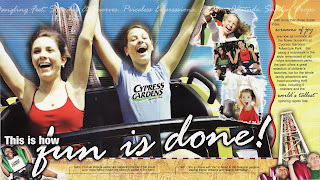 The year 2006 marked the midway point of Cypress Gardens' brief stint as an amusement park, during which time it was known as "Cypress Gardens Adventure Park". 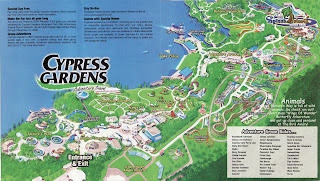 It's no wonder that experiment went awry--Apparently the park would only allow guests to ride the roller coasters if they were wearing Cypress Gardens apparel!! Or maybe that rule only applied to Swamp Thing...This is going to require further investigation. 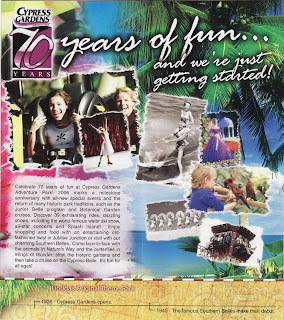 Cypress Gardens [Adventure Park] celebrated its 70th anniversary in 2006. When "Florida's Original Theme Park" opened in 1936, it consisted of nothing more than a botanical garden. If you'd like to learn even more about this park's history, you are in luck because this deluxe brochure even includes a time line! So if you are a park history junkie as I am, you will definitely want to take note of the various milestones featured at the bottom of each page. But on a more serious note, it is a shame that Cypress Gardens' newest management team decided to abandon all these wonderful rides. On the one hand you could say that the park is returning to its roots, which is not a bad thing. On the other hand, I see no reason why old and new cannot coexist harmoniously. But at the end of the day it was a business decision, and I can't really fault them for it. Better for the park to survive sans rides and animals than to be overextended and end up shuttered. 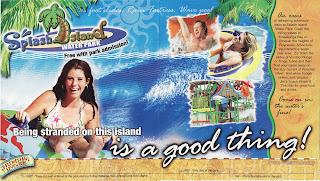 Splash Island Water Park, which survived all the recent management changes and is still alive and well, made its debut in 2005. 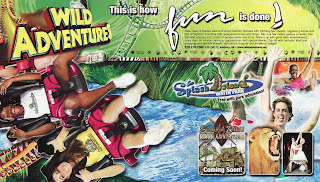 If the name sounds familiar, that's because the Cypress Gardens of 2004-2007 had a cousin up in Valdosta, GA [read: Wild Adventures] which also features a water park by the name of "Splash Island". 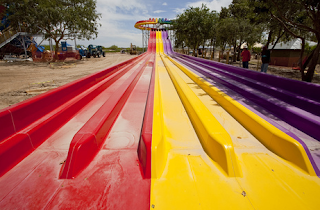 And while we're on the subject of names, how come Cypress Gardens can get away with having a water slide by the name of "Voodoo" when a particular park right down the street from me caught the devil for it? I know, I know--It's "Voodoo Plunge" and it's not the same and yada yada yada. But I'm gonna complain anyway! Did I say "nothing more than a botanical garden" a few pages back? That's the understatement of the century! These lush gardens are Cypress Gardens' trademark, and we should all be grateful that Kent Buescher saved this park from complete annihilation back in 2004 so that this wonderful tradition could be preserved. Note the "southern belle" in the middle of photo, another Cypress Gardens tradition! 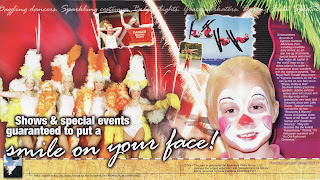 Let's put aside the fact that we're all completely freaked out by the kid with the clown face (admit it!) and focus on the granddaddy of all Cypress Gardens' live entertainment: The water skiing shows! This long-running and beloved show is certainly a unique attraction as far as park entertainment goes. In addition to the rides and the gardens and the entertainment (oh my! ), Cypress Gardens also featured a rather elaborate shopping area--Jubilee Junction--complete with specialty shops and even a model train exhibit. This area is notably absent from the current park map, which leads me to believe that it went the way of the dinosaur (not to mention the rides and animals). 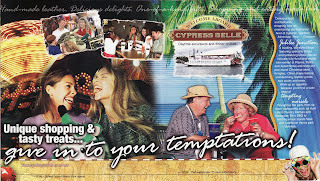 Whatever you do, do not look at this 2006 map and then jump over to the Cypress Gardens web site and look at the 2009 map. It will depress you. Unless you are a huge fan of parking lots, in which case you will love the new look. [Yes, that's sarcasm.] 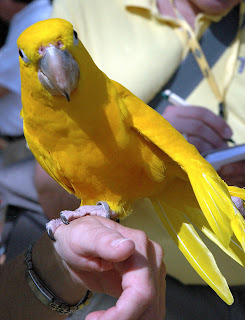 It's such a shame too, because the Cypress Gardens of 2006 truly had something for everybody. I guess you could say it was simultaneously the park's greatest asset and its greatest downfall, thus prompting the "downsizing". What the...Now how did my 2006 Wild Adventures brochure become hopelessly entangled with my 2006 Cypress Gardens brochure? 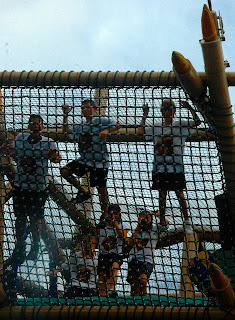 And more importantly, when did Wild Adventures follow suit and adopt that whole "park t-shirts only" policy?!! Well as it turns out, I'm not crazy. [Hard to believe, I know!] This page really does appear in my Cypress Gardens brochure. 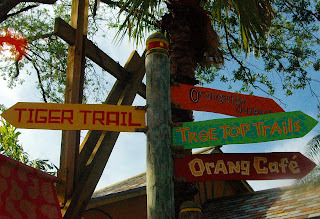 I've alluded to it several times already, but during this period both parks were owned by Adventure Parks Group (which, in turn, was owned by Kent Buescher). So why not encourage all those northerners to make a stop at Valdosta on the way home? Note the reference to Shaka Zulu River Adventure. 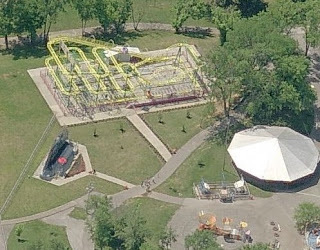 Once upon a time, Wild Adventures had plans to install a log flume ride which had been relocated from the defunct Miracle Strip Amusement Park. 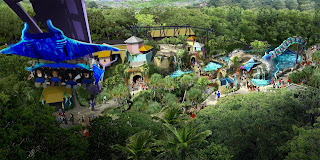 But as we now know from our interview with current Wild Adventures GM Bob Montgomery, this attraction was never built and is no longer on the radar. 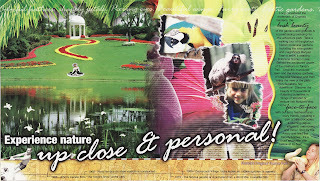 Sandwiched between Orlando and Tampa, Cypress Gardens complements Florida's "amusement district" nicely. It may not be an "adventure park" anymore, but its rich history and tradition make it well worth the stop. That was quick! 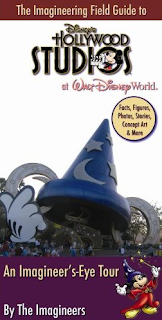 The next book in the Imagineering Field Guide To... series has already been released, and this time it focuses on Disney's Hollywood Studios in Florida. I'm a fan of this series of books, so I can't wait for my copy to arrive. The books always have great fun facts and concept art for the rides and attractions in the parks - they really make for great relaxing reading. A new Wet'n'Wild water park will be opening this June in Phoenix, Arizona. I honestly didn't hear of this development before now, but it appears as though the park is adding a ton of new attractions for it's big debut. The owner of the property, the Australian based Village Roadshow, purchased the park when it was Waterworld Safari Water Park and has spent $30 million to expand the park so it has 30 water slides and plenty of other great water attractions. All the new slides look great, there is a gallery you can see at this link. All brand new water slide technologies! I look forward to seeing more photos of this park when it opens this summer! Sea World in Orlando is counting down the days (just about three weeks now) until their new flying coaster, Manta, officially opens to the public. 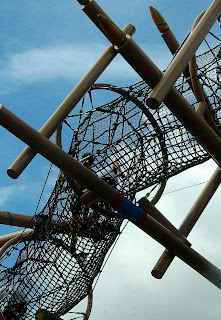 The park has created a wonderful website for the attraction, which you can access here. They've also started to add all sorts of fun content for viewers to check out, like a new batch of concept art (see the great aerial view above) that we haven't seen before. Another cool move the park is doing for website visitors is to give away a free electronic photograph of their Manta experience, what sounds like a digital on-ride photograph. All visitors have to do is register and participate in some of the activities offered on the site - many of which are web 2.0 friendly! A good marketing move indeed! 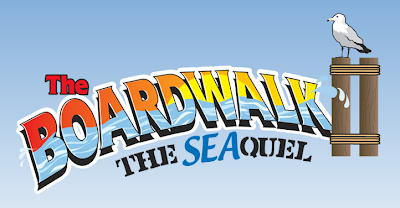 The Boardwalk: The SEAquel, which is slated to make its debut on May 23, will effectively double the number of guests who can frolic among the area's 12 water attractions at any given time. 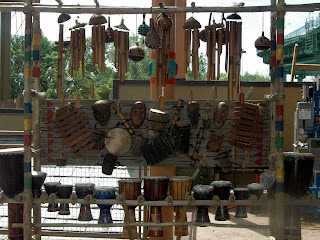 [Read: More places to SEA and be SEAn!] Now personally I prefer to get my thrills on dry land, however I am a huge fan of wordplay so the name alone is enough to tickle my fancy. And even a landlubber such as myself can SEA that The Shore and Intercoastal Waterway will be excellent additions to this relatively new area of Hersheypark. If you'd like to SEA how the construction is progressing, check out the video that was recently posted on Hersheypark's Facebook page. One interesting note is that constructions crews have recycled 14,000 tons of concrete and 10,000 tons of rock while working on The SEAquel! And if you'd like to get an even closer look at all that recyclable material, be sure to SEA this thread on Hersheypark Crazy. One of the site administrators had the opportunity to tour the construction site a couple months ago in conjunction with a school project and captured some great shots, such as the one above. As much as I hated to SEA the park lose Canyon River Rapids, it looks like The SEAquel is shaping up to be a most worthy replacement and--wait...What? I've worn out my welcome with the SEA references? Really? Aw, shucks...I guess I just don't know when to quit sometimes! Can you blame me if I can't wait to SEA the finished product? The rest of Hersheypark [i.e., sans Boardwalk] opens in just a few short days--May 1. Mark your calendars! 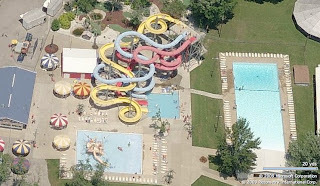 Just outside of Bowling Green, Kentucky, you can find a gem of a independent amusement facility, Beech Bend Park. Named for the Beech trees that dot the landscape, the park made a big name for itself in 2006 with a big ride - but that's getting ahead of things. The park actually dates back to the late 1800s when it served as a picnic park, and rides did not start to show up until the '40s and '50s. The one featured above, the Wild Mouse, is a Zamperla creation that was added in 2005. Here is the older water park section of the property. It looks small but seems a perfect fit for a park like Beech Bend. Here is the Looping Star, a Pinfari traveling coaster that the park purchased. I've never been on one of these but their smaller size makes them look like they'd pack a punch. 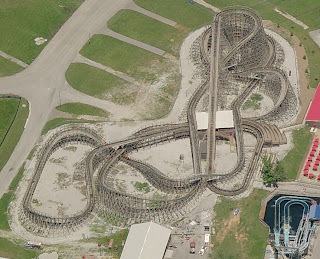 And here we have the Kentucky Rumbler, the ride that really put the park on the map. 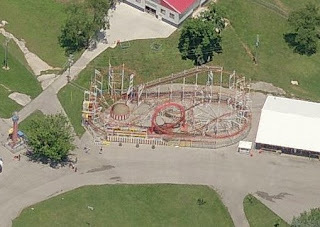 A Great Coasters International twister, the ride quickly became a fan favorite after it opened. These type of rides are just so beautiful to look at, too! Here's a link to the Live Local Images. 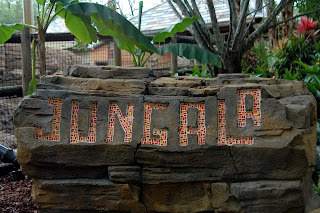 On Sunday Mike mentioned Busch Gardens Tampa's new Jungala section winning the prestigious Thea Award for Best New Theme Park Land. We were lucky enough to experience Jungala in person and would like to present 20 reasons why we agree with TEA. 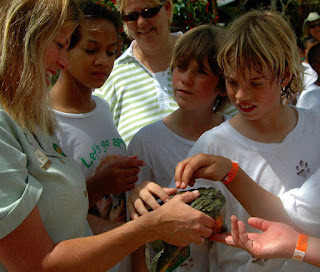 20 Lots of really, fun, interactive things to do! #19 People always seem to be dropping in. #18 In fact, they're flying in from all over. 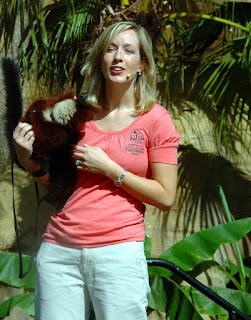 #17 How many places can you find pretty ladies holding furry animals? 15. You can get a bird's eye view. #14 Of bird's of a feather flocking together. #13 You can be all wet! 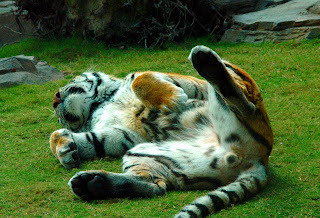 #12 Or just hang out. #4 How about a bit of window shopping? #3 Or a game of Hide & Go Seek! #2 Embarassing your friends is fun! #1 Or smile & say have a nice day! How does your light shine, after a day at Jungala? Congrats to BGT for the award & success of Jungala! 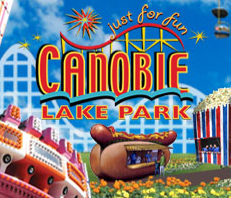 Canobie Lake Park, Salem, NH, opened for the 2009 season this past weekend to some wonderful crowds. The park will be celebrating '09 with new live entertainment, including Mystique, a "cirque style illusion show" which I'm sure guests will love. According to the local media the park offered a discounted admission program for opening day, and when paired with some high temperatures and great weather, the park saw a large crowd - not the first we've seen at parks this Spring which is wonderful to hear. To see some shots of the park and all the changes they've made, stop by this TRP photo trip report as well. How wild does a ride on Prowler look?! 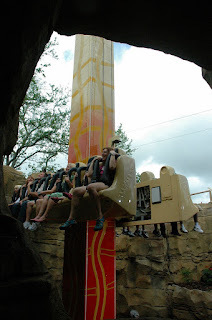 Worlds of Fun just released this new POV video of the ride and I must say that I really wish that this park was in my travel plans for this summer! Carowinds has taken the next step of teasing park guests about what they are removing the park's log flume for: adding signs and peep holes on the construction fences! 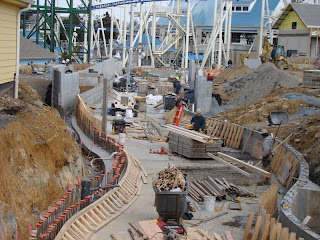 User Carowindsflyer has a huge gallery of shots taken at the park that show the removal of the log flume and the associated work from multiple vantage points. Be sure to go through the whole gallery as construction shots can be found throughout. The park is officially still mum about the project, all that we know for sure at this point is that it's a new roller coaster. 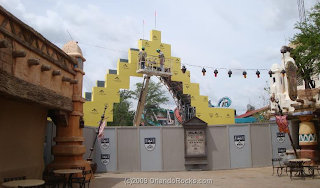 Islands of Adventure theme park, part of the greater Universal Orlando Resort is finally making great steps in actual vertical construction of the new Wizarding World of Harry Potter. The new land at the park is seeing new items go up, from the entrance to the area (above) to the structures for the village shops and restaurants on the former location of the Oak Tree Tavern. 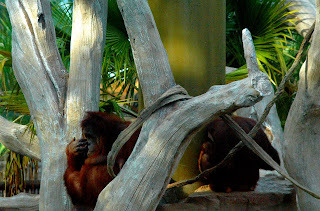 OrlandoRocks.com has a recent gallery of photos up that you can check out. After so much time going by seeing only pictures of piles of dirt and the 'big box' building it's great to see so much progress being made!